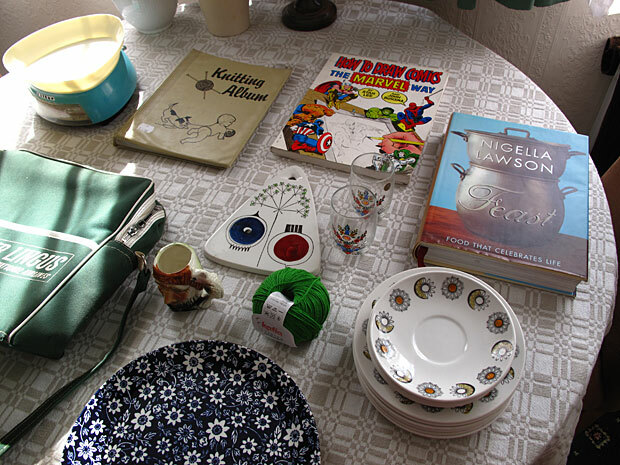 I went thrift store/ treasure hunting yesterday. Haven't been out for a long time and I think I overdid it a little bit, but look at all the thriftiness! Another cheesboard from the Picknick series by Marianne Westman - what's the chances of that happening twice! 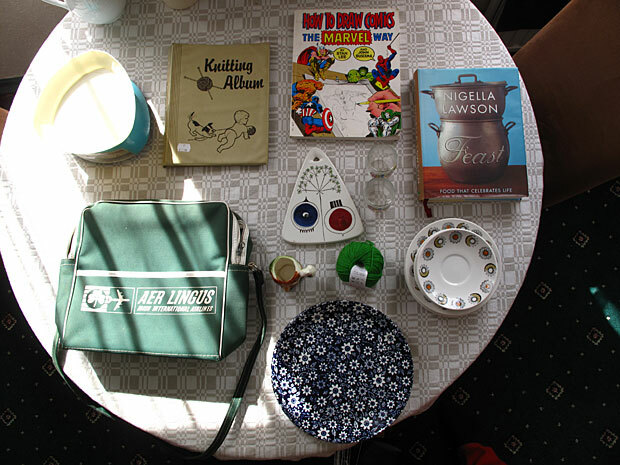 Wool, bag, books, scales, plates, saucers, pirate jug, and a knitting album - have been looking forever for one of these as my old patterns are anywhere and everywhere. All in all: a good hunt. I actually think I need to marry you. What a haul... well done old chap! i never find that much good stuff these days!!! Christelle as you can see from the bag and the skein - green i one of my favorite colours. wow! well done! 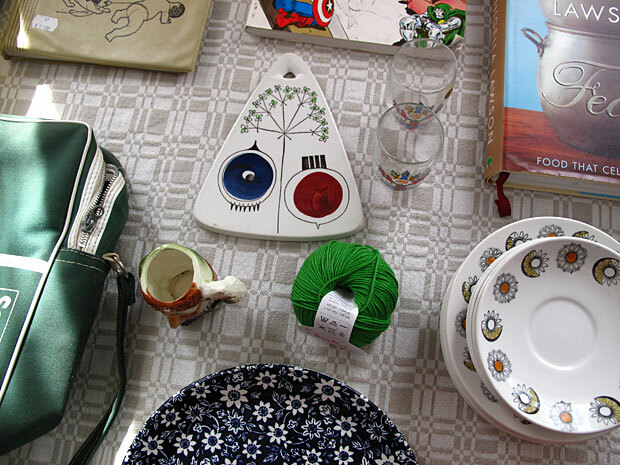 I love the plates, and I want to see what's in that knitting album! The knitting album was empty - but I will fill it with the patterns that I got and show you later.